The planning applications for the redevelopment of the Aylesbury estate are to be considered by Southwark council’s planning commitee on Thursday evening. Officers recommend that approval be granted - their report on the outline masterplan application can be found here. We blogged previously about Notting Hill Housing’s development at the Bermondsey Spa regeneration, where social rented housing agreed at planning committee became affordable rent when - by sleight of hand - social rent was defined in the legal agreement as affordable rent. In an email response to an enquiry about its Bermondsey Spa development from a local ward councillor, a Notting Hill spokesperson confirmed __ “we don’t have any social rented properties here” __ and explained that the 44 ‘social rented’ units are currently let at affordable rents, ranging from 42% of market rent for 3 beds to 63% of market rent for 1 beds (average across all unit types = 58% of market rents). We have now discovered that the Bermondsey Spa tenure definition switch was no isolated incident: another Notting Hill Housing redevelopment - the Elmington estate regeneration (now rebranded ‘Camberwell Fields’) has a definition of social rented housing in its S106 agreement enabling the very same tenure switch. ‘Camberwell Fields’ is not due to be completed until later in the year, so we don’t know exactly the percentage of market rent the supposed ‘social rented’ units will be let at yet. However, Notting Hill Housing’s Development Partnership Agreement for the Aylesbury has no such definiton; ‘target rent’ is defined with a vague reference to a ‘target’ and ‘formula’ set by government, without any reference to the term social rent or the National Rent Regime regulatory framework which governs it. 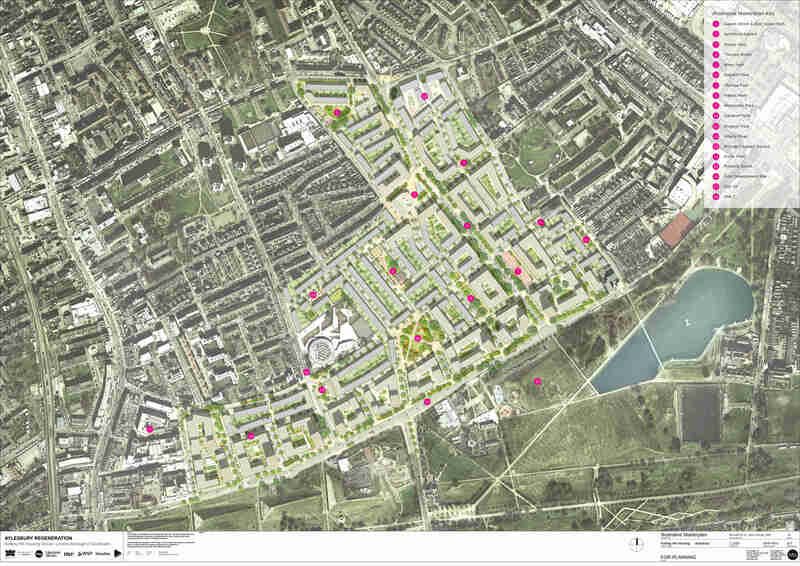 Past planning committees have had the wool pulled over their eyes by Notting Hill Housing. If the same thing happens again on Thursday then we can add the loss of roughly 1300 social rented units promised by Notting Hill on the Aylesbury, to the 44 units lost at Bermondsey Spa and the 41 units set to be lost on its Elmington estate regeneration. The Aylesbury applications are due to be heard on Thursday evening. In the meantime, we have written a letter to Southwark’s Head of Planning and the following planning committee councillors who will be deciding the application, urging them to reject the application until the precise legal definition of the social housing tenure proposed has been published for public consultation. If they stand for social housing which really is social housing or believe in a fair and transparent planning process then they will support and act upon our request.